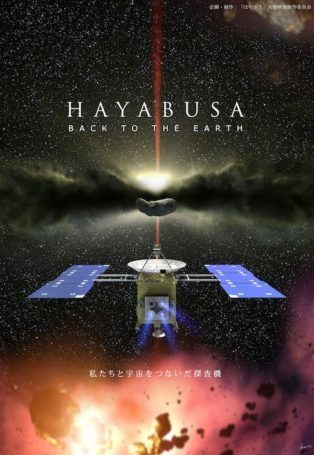 Hayabusa: Back to the Earth is a 44-min show for planetariums and digital dome theatres. Info, trailer & full preview available. 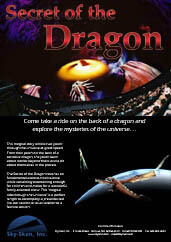 On May 9, 2003, Hayabusa, a Japanese space probe, was launched aboard the M-V Launch Vehicle to collect samples from the near-Earth asteroid Itokawa (1998 SF36). A sample, if Hayabusa can bring one home, is believed to be a key to find out the secrets of our solar system; the birth of the Earth and solar system born some 4.6 billion years ago. Such old material is nonexistent on Earth but it is believed that an asteroid such as Itokawa may well possess it as a record of our solar system. Hayabusa attempted to land on Itokawa after traveling approximately 2 billion kilometers (1.25 billion miles). 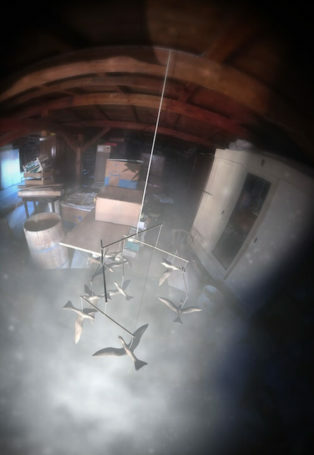 However, its landing was no easy task. The probe body was suspected of having deep mechanical troubles. But there is no going back. Re-positioning once again, Hayabusa dives in for a second landing attempt. It looked as though it was successful but turned into the worst crisis. 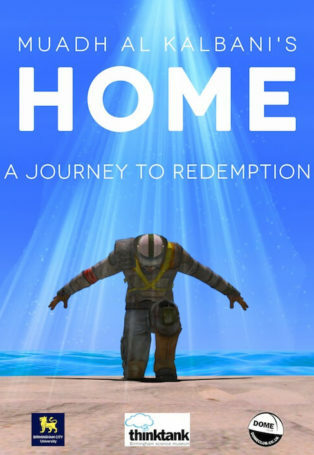 Can Hayabusa return home? 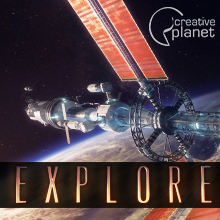 This show is a full CG image fulldome feature presentation with highlights of this spacecraft overcoming a series of obstacles along the journey. This show was made before Hayabusa returned to the earth. After Hayabusa returned in 2010, the HAYABUSA BACK TO THE EARTH ”Return version” was made. Two type exists.